Build The Tutti Frutti Culture With Us! 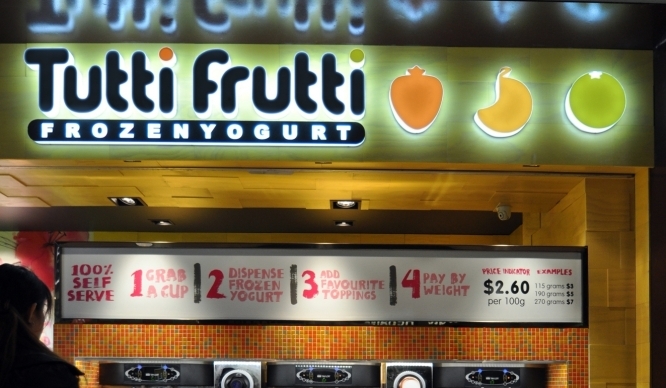 Tutti Frutti Frozen Yogurt have 700 stores spread out over 26 countries worldwide and we are now rapidly expanding in Australia! Get involved Down Under with the leaders of frozen yogurt and be a part of this global company by taking advantage of our franchising opportunities and be a yogurt trendsetter too! We would like to introduce you to our concept: Tutti Frutti is a fun and interactive self-serve business that provides a healthier snack/light meal option to the health conscious, yogurt loving, Tutti Frutti community. Tutti Frutti is a fun and interactive self-serve Fro-yo bar where customers have the freedom to create their own sweet treat! By combining our many flavours and expansive selection of toppings, customers will be designing a taste that is unique and delicious in every cup. 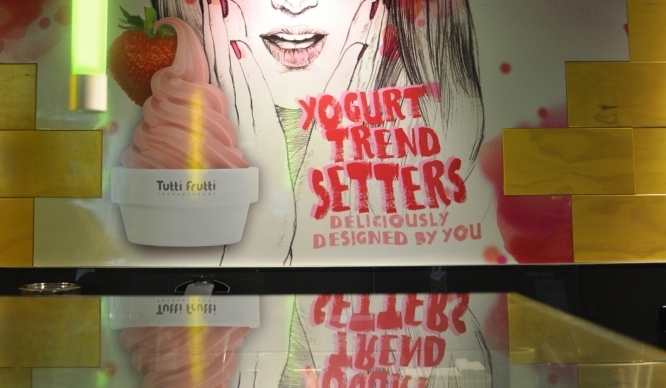 Be a yogurt trendsetter at Tutti Frutti, ‘cos every cup is deliciously designed by you! At Tutti Frutti, there is something for everyone. The vast colourful variety of healthy and wicked toppings and flavours will blow you away. There is never a dull day at Tutti Frutti. Arguably the most compelling advantage that Tutti Frutti has in the frozen dessert market is its versatility and innovation, creating a major advantage for a simple-to-operate business model. With a focus on providing delicious yet diet-friendly treats to the health conscious, Tutti Frutti Frozen Yogurt is 98% fat free, gluten free, free from gelatin and other animal products, high in calcium, loaded with probiotics and made fresh daily! Determined to adapt to local conditions and, therefore, maximize the brand potential in Australia and New Zealand, we have spent countless hours and worked with numerous consultants in areas covering store operations, design and marketing, financial modeling, franchising and property sourcing. Tutti Frutti did not happen by chance, it is a brand built on strong fundamentals, that we believe are key drivers to the success of the business. We hope you enjoy the journey as much as we do! We will work with you to develop simple yet effective strategies to target the core customer base and feed you vital information that will allow you to successfully promote the brand. 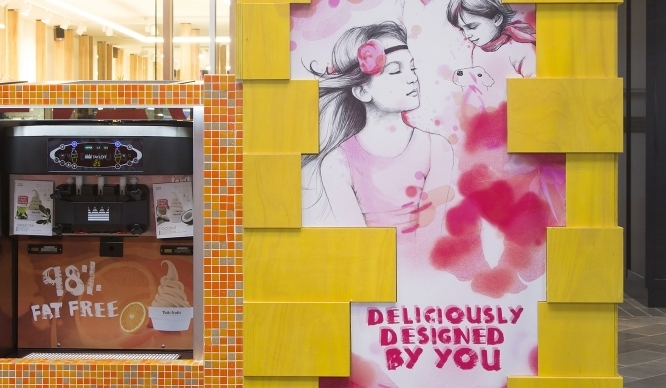 Tutti Frutti’s core target market ranges from the 15 – 35 age group, predominantly female customers. The marketing team has vast experience in designing collateral, market research and establishing social media/marketing campaigns. We will work with you to develop simple yet effective strategies to target the core customer base. We will also develop various marketing initiatives that will become national campaigns, which in turn drive brand awareness. Every shopping centre has a marketing calendar, which provides an overview of the centre’s marketing program for the year. We will work with you to ensure our marketing strategy is in line with theirs to achieve a strong and unified result. Every shopping centre aims to implement a strategic and integrated marketing and branding program to grow market share and maximize sales growth potential. With years of retail and franchise experience, our franchisers know what it takes to run a successful franchise business. Our training and support will enable you to begin this popular franchise with confidence. We believe that in order to run a successful business, franchisees need to understand the key elements of the business model. In addition to training, the ongoing support for each store is key in ensuring stores are well maintained and the motivation of the team is still as strong as on day one. Franchise support managers are always close by to provide support when needed. It’s always Summer at Tutti Frutti! 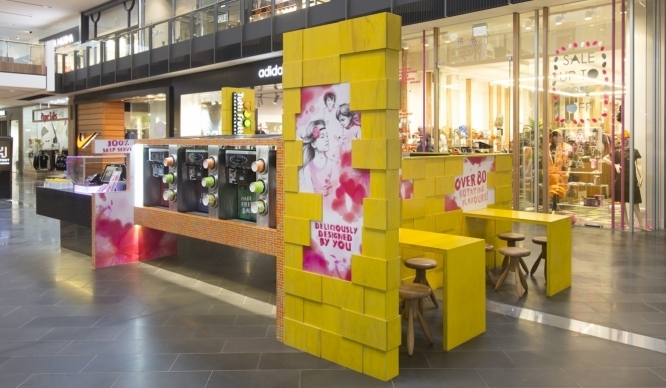 Our fit out design is flexible to different locations, while still keeping within the overall brand concept. 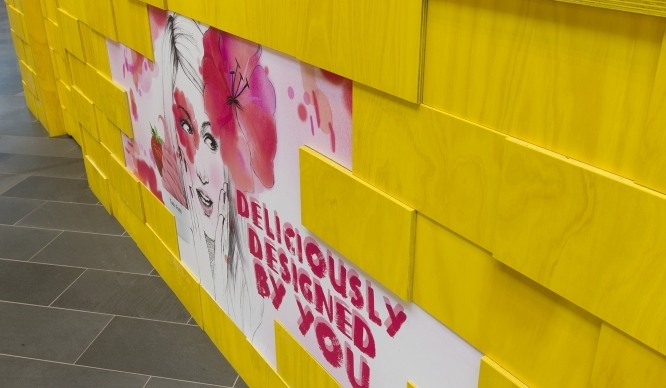 Each fit out uses yellow ply wall cladding and narrative illustrations that were custom-designed for Tutti Frutti, ensuring the brand is both evolving on trend and instantly recognisable. 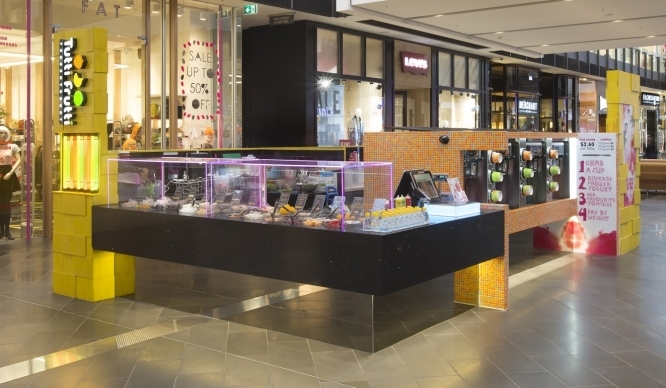 The bright panelling, emotive graphics and trademark coloured fluoro lights combine to make fun, eye-catching kiosks and stores that are sure to be a great success before anyone even tries the yogurt! We love yellow and multi colours, making sure our stores are always bustling with happy and summer-loving energies. It’s always Summer at Tutti Frutti and our fit out proves it, frozen yogurt is perfect for any season! ▼ Why Tutti Frutti Frozen Yogurt? 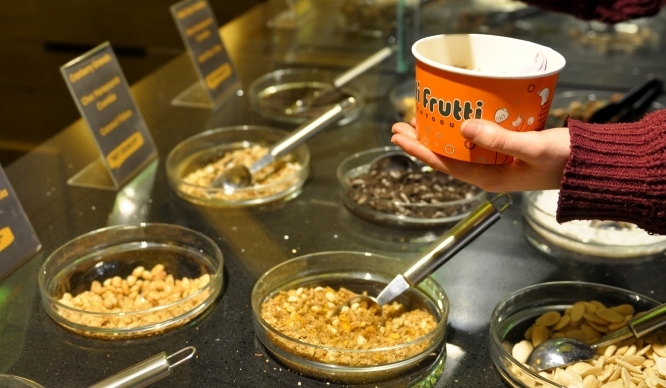 Tutti Frutti Frozen Yogurt have 700 stores spread out over 26 countries worldwide! You can enjoy our yogurt anywhere in the world! We have a proven track record with a sound business model and product offering that works everywhere on the globe. Site selection: Tutti Frutti works with experienced commercial real estate professionals who understand our concept and real estate criteria. We will guide you to secure the right location at the right rent! These professionals also assist in lease reviews and negotiations, and this is included in the support you receive. 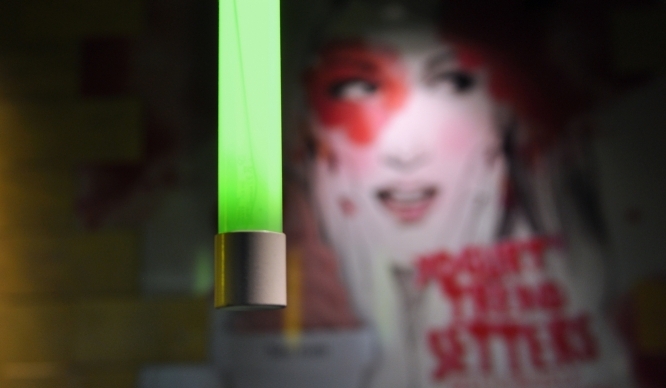 : We at Tutti Frutti love technology. We believe that the marketing sphere has evolved into the world wide web arena and Tutti Frutti is moving along with it. Tutti Frutti marketing programs are catered to target the 15 – 35 years age group... who it so happens love technology! 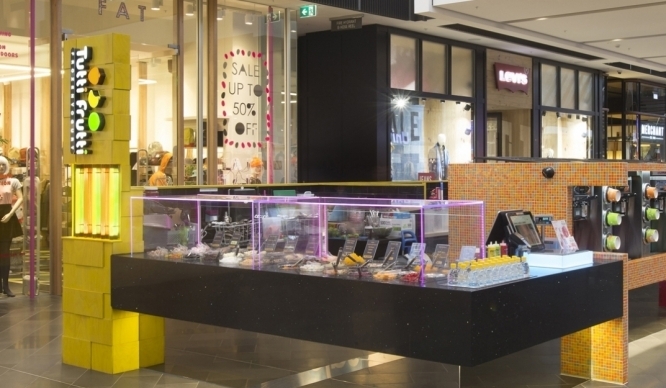 We have conducted a thorough design audit to create a strong brand and bright striking fit out that ensures when you are walking by, you definitely will not miss a Tutti Frutti store! : We do not require a scientific genius to operate the store efficiently. Bring your strong work ethics, good attitude and your pack of smiles to work and you are good to go! 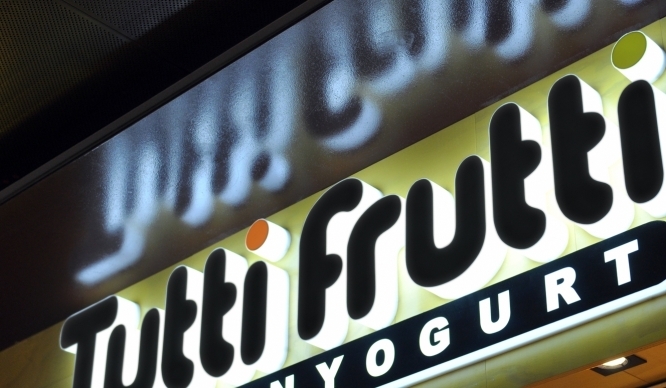 FRANCHISING We would love to have you as part of our growing Tutti Frutti franchise chain. 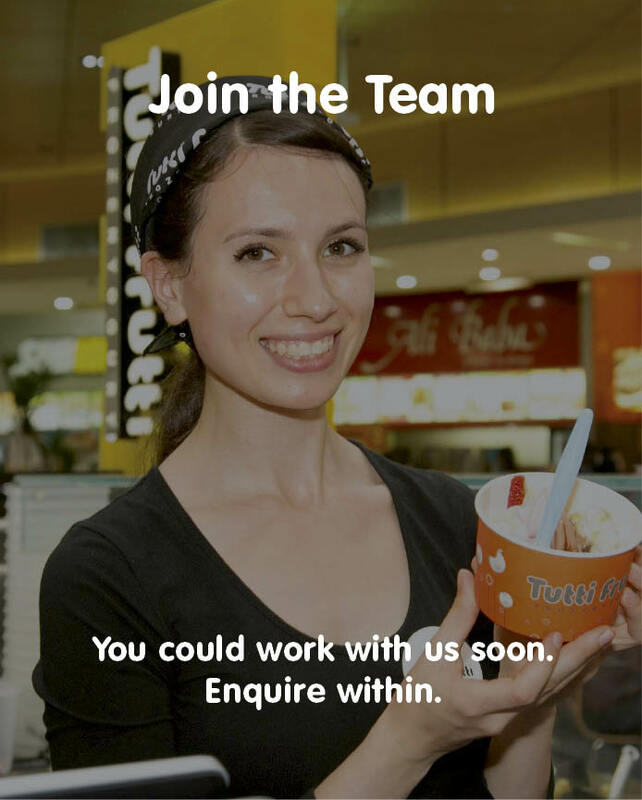 To register your interest in owning your own Tutti Frutti Franchise Store in Victoria, New South Wales, Queensland, Tasmania, South Australia, Australia Capital Territory, Northern Territory or New Zealand, please fill in your details on this form or email us at admin@tuttifruttiyogurt.com.au to speak to our Franchising Team. 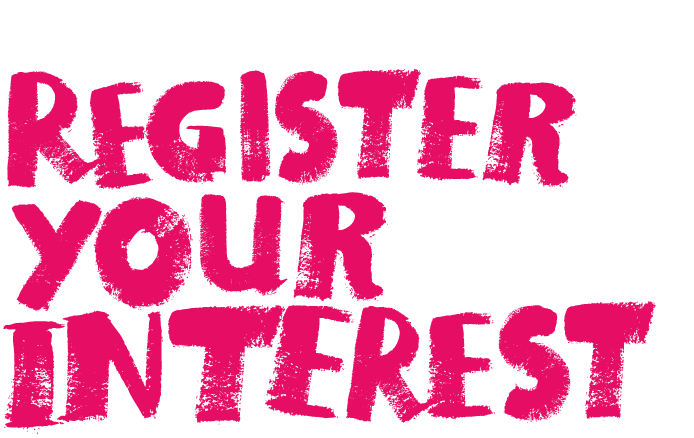 To register your interest in owning your own Tutti Frutti Franchise Store in Western Australia, register your inquiry to here.  ▼Find a Location to Franchise!